Last month, we spent quite some time in South Carolina exploring the upcoming BMW X7 and the third-generation X5. Most of the details were already shared with us by BMW, but there is one they decided to hold off – the future generation of plug-in hybrids for the high-end X models. Yet, in late 2017, our own sources shared some juicy details about what BMW has in store for the “e” labeled SUVs. The current BMW X5 xDrive40e will be replaced next year by a more powerful and advanced plug-in hybrid. The powertrain will be similar to the one that will be used on the BMW 745e model once the facelift of the 7 Series comes out. It will have 390 HP, according to our sources, and more than 500 Nm of torque combined. The internal combustion engine under the hood will still be a 2-liter petrol mill with over 250 HP. What will change though will be the electric motor and the batteries. BMW will use next-gen batteries on all its upcoming EVs and PHEVs and that implies a longer range so we’re hoping to see a real-life pure EV range of at least 30 miles. 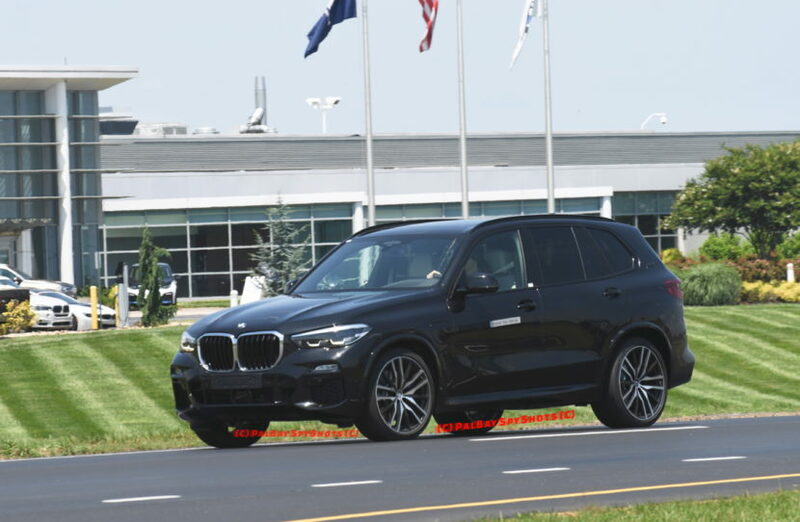 Even though the hybrids won’t be available at market launch of the X5 in November, test vehicles are out and about in Spartanburg putting the final test miles on the electrified powertrain. 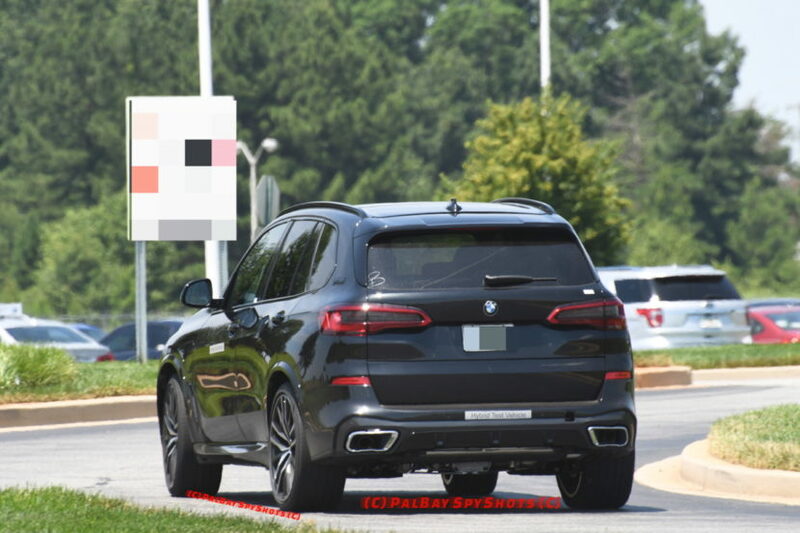 Courtesy of spy photographer Palbay, we now have the first images of the 2019 BMW X5 xDrive45e, along with an M Sport Package G05 X5 mixed in with the PHEV version. To learn more about the upcoming X5, feel free to glance over the video below.